1. Sahu Eye hospital A-1 Wimla apartment Marve Road Malad. 2. 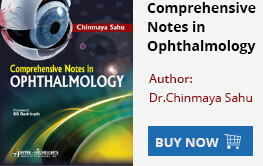 Chinmaya Eye Hospital D – ½ Jamuna link Road Malad. 3. Sanjukta Charitable Eye Hospital 102 Amit Towers Charkop Kandivali (West). DOMS – College of Physicians & Surgeons Bombay. Instructor MSICS eye advance 2002. Awarded “International master – Gold Medal “by Bombay Ophthalmic association in 2003. 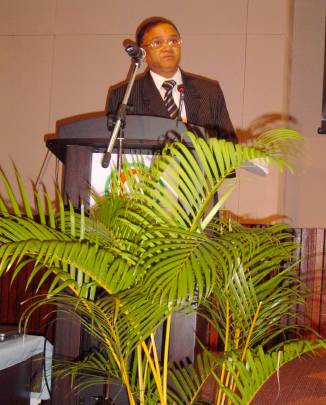 Chief instructor in MSICS in BOA Annual conferences 2004. Instructor in Msics at AIOS conference at Banaras in 2004. Demonstrated his technique 3mm Msics “Stop & Chop” at different places this technique was 1st time demonstrated at Aditya Jyot eye hospital Bombay in 2005. Live demo of Phaco cataract surgery at Disha eye hospital, Westbengal 2003. Live demo of Phaco & MSICS surgery at Orrisa, June 2003. Live surgery demo of cataract operation Uttarakhand, India October -2011. Live surgery demo of cataract operation Jharkhand, India December 2012. 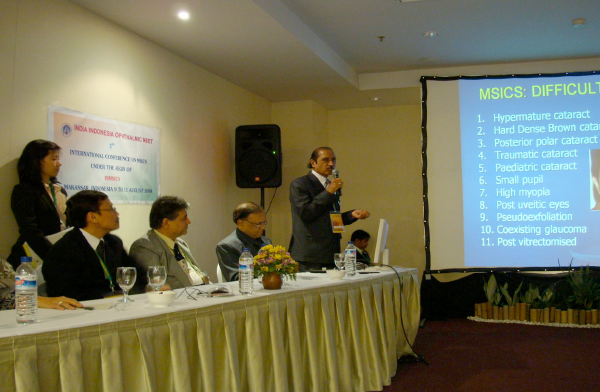 Chief instructor MSICS at AIOS conference at Bhubaneshwar 2005. Participated as instructors in various instruction courses including American Academy (AAO). Chief organizer “LIVESICS”, international live surgical workshop of SICS conducted by Bombay Ophthalmologist Association at Wokhards Eye Hospital in Mumbai. Presented large numbers of papers in National & International Forum. President – SCB Medical College Cuttak, Orrisa – Silver jubilee year. 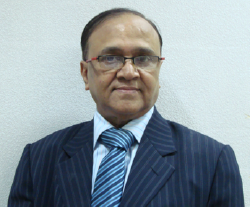 Chairman of international society of manual joint secretary ocular Trauma society (SICS). 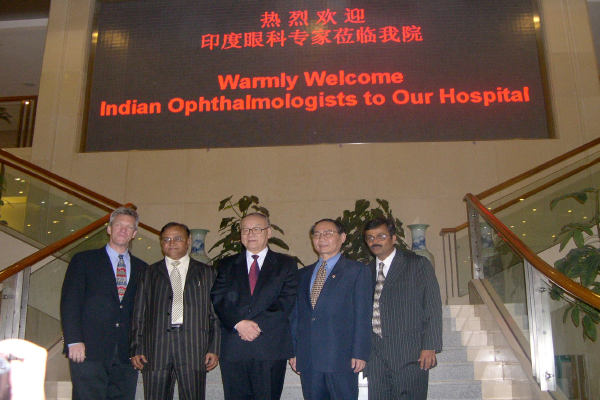 Lead a delegation of ophthalmologist for cataract conference at Indonesia 2008 (ISMSICS 3rd conference). 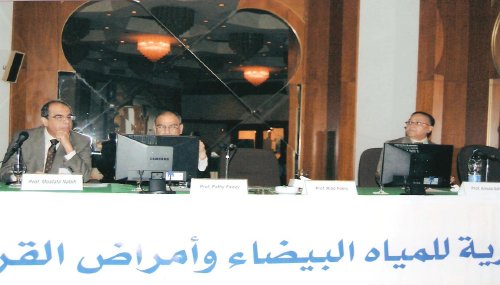 Lead a delegation of ophthalmologist for cataract conference at Egypt Feb 2009 (ISMSICS 4th conference). 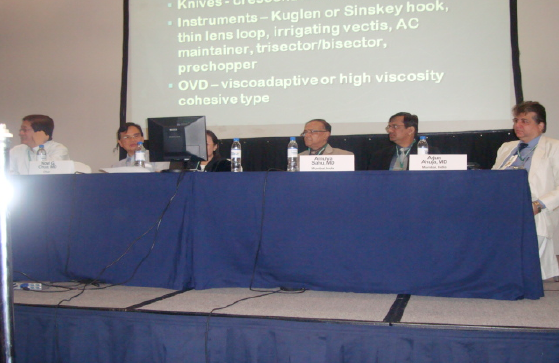 Lead a delegation of ophthalmologist for cataract conference at Philippine Nov 2009 (ISMSICS 5th conference).